The German painter Heinz Emil Salloch immigrated permanently to the U.S. in 1937. He had studied at the Muthesiushochschule in Kiel, was an ill-placed idealist in the Germany of those years and a young exponent of the expressionist realism school that was already prevalent in America as modernism. 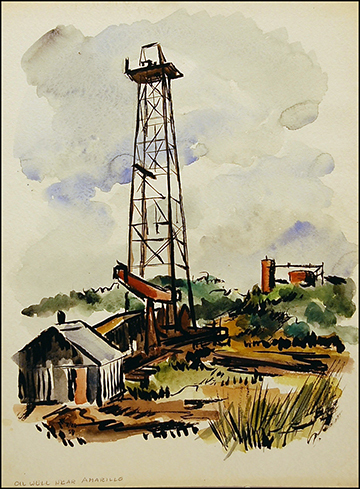 (See Georgia O’Keefe’s early work). Salloch lived on the East Coast but began to visit the American South-west in the early fifties. On the East Coast all had been vast skies and attention to the intimate detail of shorelines. 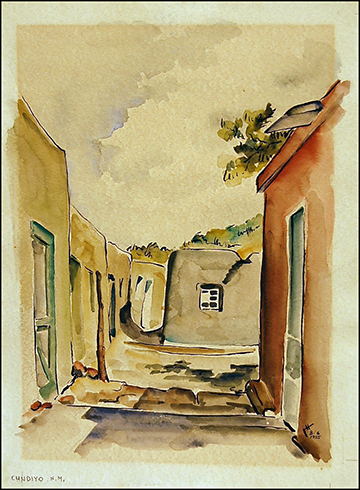 In New Mexico shadows came to matter as much as the light. Charcoal strokes became as powerful as they had been in the earlier German work, only now pastels were often done on black velvet paper. 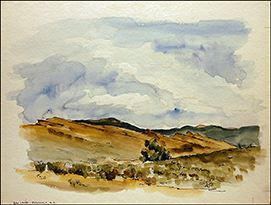 Salloch created a structure for his paintings that married the vast space of the southwest to the intimacy of life on the Pueblo reservations, and the small backwater villages around Santa Fe..
Salloch died in 1985. He had a retrospective show at the Ost-Holstein musuem in Eutin, near Hamburg, Germany in 2006. The Berlin City Museum acquired two works on paper in 2007. Salloch's watercolors and pastels are now part of private collections in London, Paris, Berlin, New York, Houston and Seattle.